Hanae is recorded from Nikki D's mother, thus pronunciation might not be accurate. 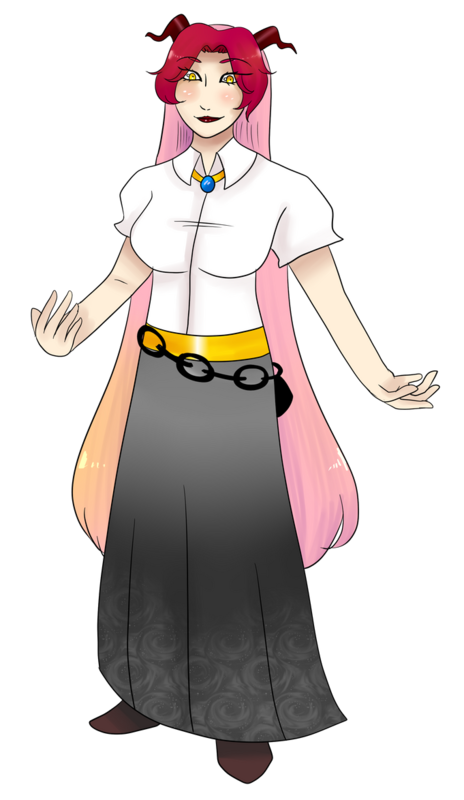 Hanae is monopitch CV Japanese with romaji and hiragana aliases. She has some English sounds recorded to assist with English pronunciation. She sounds best using fresamp and the flags BRE0Y99C99c99H0h0B0b0F1L1. 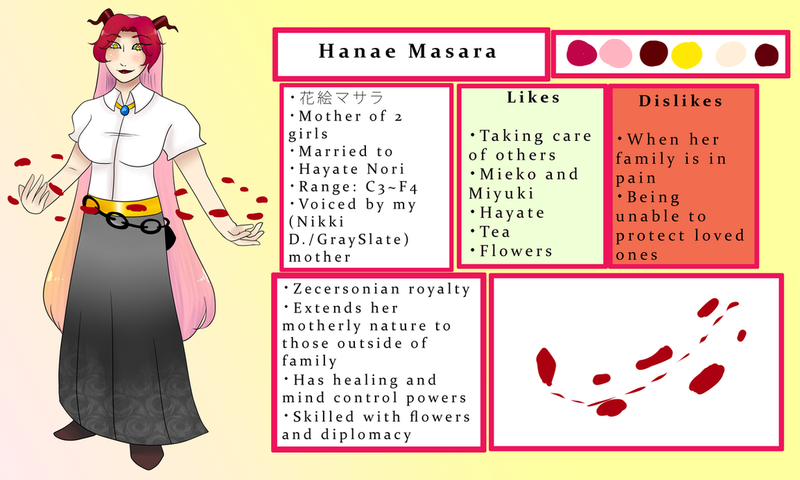 Hanae comes from the Zecersonian royal family, and was going to be in line to be the queen. She was born on June 23. She didn't want to take part in the formality, however, and liked to play in the woods and get dirty, much to the displeasure of her parents. She got her own job of her own choice, and although her parents were glad she had a job, they wanted her to be training for her throne days. She worked as a waitress for a while until she met Hayate Nori. She loved his singing and his charisma, much to his bewilderment. They got along extremely well and they began dating, although Hanae's family was divided over her choice of Hayate. She was given the final decision, and she chose to marry Hayate. Since she initiated it, Hayate put her surname after his. She was ecstatic to learn she was pregnant with Miyuki not long after they'd been married. Hanae has always loved both Miyuki and Mieko equally, and helps them grow in their unique talents. Hanae seems to have control over flowers that goes beyond just being good at gardening. She also inherited the power of mind control, but rarely feels the need to use it. She likes to sing, and passed her ability onto her two daughters. She surprises most people that meet her to find she likes metal music. Sometimes, she'll play December Arrest songs in the house when guests come over who have no idea she's a metalhead at all.